Builder Two is a classic eye shadow shading brush—with benefits. The velvety natural bristles are specially arranged to make blending, defining, highlighting, and smudging easier than ever. The brush shape is endlessly versatile; try holding it at different angles to use the sides or the tip to get deep into the curves of the eye socket. “This is also the brush I use for smoky looks, either for one-shadow looks or to layer several colors. I use it to diffuse the transition color into the crease and brighten the browbone.” — Sonia G.
Work pigment into targeted areas using small wiggle strokes. I absolutely adore Builder One. It gets used every day with my dark and bold Viseart mattes for precise placement. It took me a while to find Builder Two’s niche as I don’t use cream eye products and rarely use shimmers/glitters. I’ve had trouble finding a good brush to make the most of Viseart shimmers. That quest ended when I used Builder Two! I now have consistently excellent results from my Viseart shimmers that I’ve never achieved before with any other brush. I now have another perfect pairing between two of my favourite product lines, Viseart and Sonia G.
This brush is extremely firmly packed with virtually no give/flex in it. The efficient bristles are also very gentle against the skin. It is like patting a solid tiny cat’s paw against the eyelid. It is this precise (and unusual) feature that enables wayward shimmer particles to be smoothly laid flat on the eyelid surface, giving greater gleam. This brush somehow makes my shimmers look less ageing (I’m 45 with wrinkly hooded eyes), as it packs on colour and lays the shimmer pieces as flat as they can be. Love! If I was unable to have both Builder One and Builder Two, I would go for One without hesitation, as it is more versatile and flexible (it’ a very different brush in actual fact). But if you have persistently annoying shimmers that don’t seem to have much payoff... grab this too. I know, I know....mac is poor comparison. But no matter, this outperforms the OG mac packing brush of all time. It packs blends and is dream on the eyes. Buying more for sure. Packs on with a punch! Allows me to pack on metallic and glitter shadows with ease in that I don't need more than one swipe. I do wish that the Builder Two was a little bit smaller in size because I have small mobile lid space and its very easy to over apply. Probably user error; but I found it difficult to place center color with the preciseness I needed and my shadow ended up extended too far and on my bottom lash line. I am still practicing but that's my only complaint... the size. 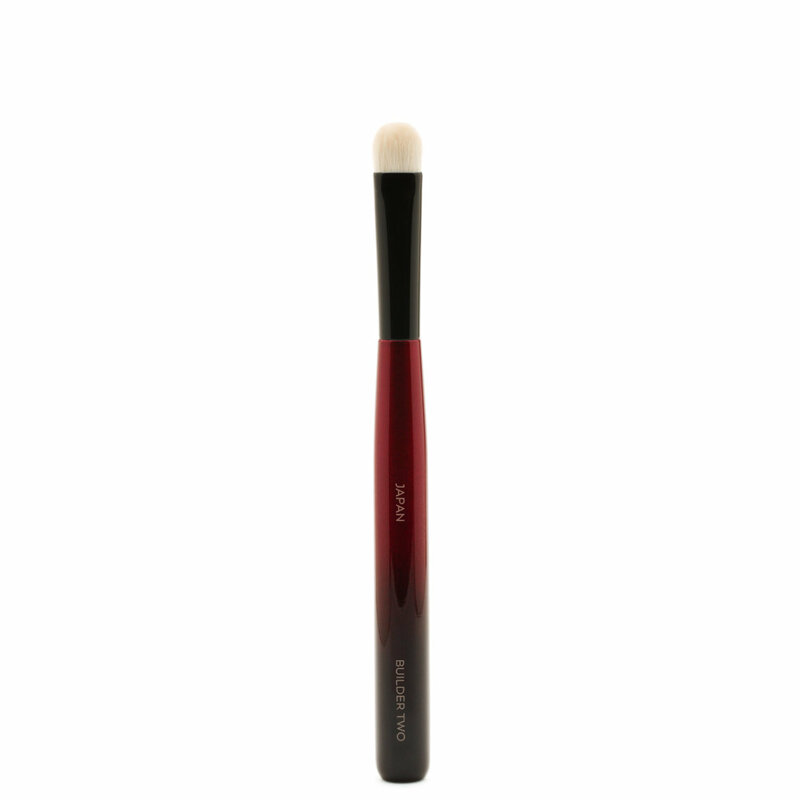 Love the denseness, softness, blending capabilities and of course the gorgeousness of this brush. Let me be quick here because my son learned to crawl and he is currently licking my boot. This brush applied an eyeshadow that no other brush has been able to apply. And it did it well. I have this beautiful but poor performing palette (I won't mention any names) that I keep reaching for because I am hell bent on making it work. This brush did the trick. I would like Sonia to make the same brush but smaller for those smaller spaces so that I can be a little more accurate for detail work. I am a stickler when it comes to tools and I have been known to reject spatulas because it gave me the wrong vibe or lacked in the performance department. I LOVE this brush so much, it is a much Better brush then the builder 1. I hated Builder 1, it made me angry to use it. LOL!, it was much to soft, however Builder 2 is awesome. Its dense and firm and a great shader/packer brush. It blends out cream products beautifully and easy to clean. Love this brush and very happy with the purchase. It is very soft and it make applying metallic and shimmery shadows so much easier, you can pack the shadows on the lid and do it in a precise way. It is a bit bigger than Builder One but as you can use both with powders and creams it is more interesting. I was not into it when I saw the pics on the website but in person ours has been a love story. I use it to pack colour and to blend the edges and it is fantastic and so soft. I am not sure how I feel about this brush. On the one hand, it is beautiful to look at and well crafted, but I did not buy this to look at it. It is a bit big for my taste and while I love dense brushes, I feel that this is too dense because there is no give at all. Perhaps if it were smaller it would be easier to pack the color on my lid, but my lid is small so it is difficult to maneuver. I am still going to try and play with this to see if I am perhaps missing something about how to use it or find a new purpose for it. 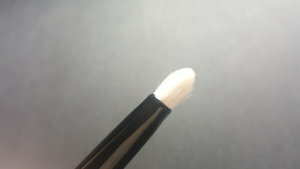 Love this to pack on the lid or to smudge out eye shadow on my bottom lid because its so soft! This is such s great flat shader style type of brush. I was Amazed at how much pigment it picked up and laid down on my lid. These brushes are definitely my favorite, if you are on the fence about any of them I would highly recommend trying them out. I originally Purchased one and now i need All of them, they are that good!